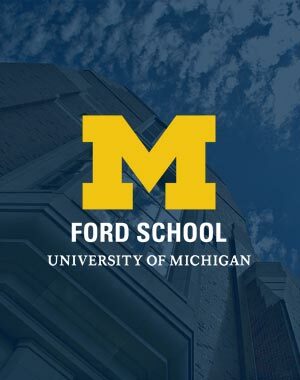 Each year, the University of Michigan Board of Regents establishes tuition and fees for the Gerald R. Ford School of Public Policy. Tuition is set at different levels for in-state and out-of-state students, and students should consult the University of Michigan's residency policies to determine their status. Tuition is established annually, generally in the summer prior to the beginning of the academic year. In addition to tuition, the University of Michigan's Board of Regents annually establishes several nominal student fees. Click here to review tuition and fees for the current academic year. Note: Dual degree master's students enrolled in more than one school or college pay the higher tuition rate for all credits elected. Tuition and fees differ for in-state (Michigan resident) and out-of-state students. Residency policies are established by the University of Michigan. The criteria for establishing residency are quite complex and students should direct questions to the University’s Residency Classification Office, which is part of the Office of the Registrar. In addition to tuition and fees, students should budget for housing, food, books, supplies, and other personal costs. Based on 2014 tuition and fee figures, we estimate the cost per academic year below. 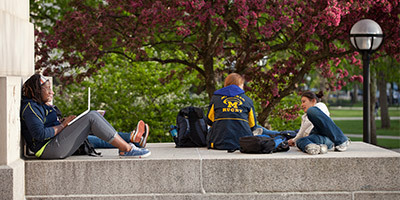 The University of Michigan Office of Financial Aid administers all federal student assistance programs including federal and private loans, grants, and work-study eligibility. In addition, the office administers a number of special awards (e.g. for students who majored in specific fields or who come from a particular geographic area) and students are encouraged to explore these possibilities. The programs administered by the Office of Financial Aid require specific applications.